Installed in the Atrium space at the historical Incinerator Gallery in Moonee Ponds, The Inaugural Walter Burley Griffin Memorial Regatta Extravaganza was a 4 week exploration of organised chaos and creativity. The OK Collective filled the gallery space with the process of months of home recycling as well as an array of collected recycled goods from the Moonee Ponds Transfer centre, next door to the gallery. 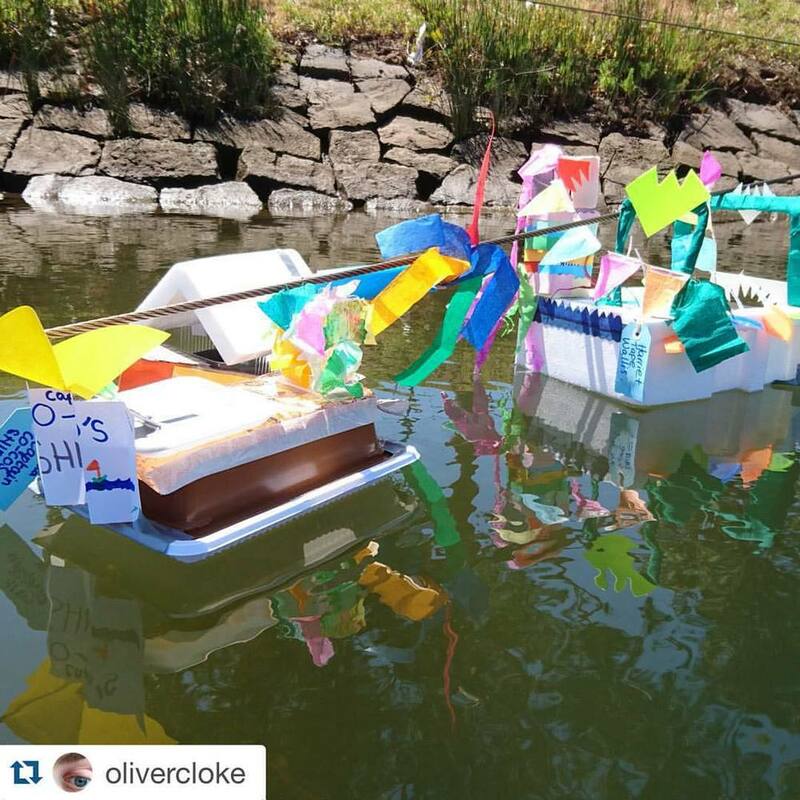 With these bits and pieces, participants in workshops and visitors to the gallery alike, were invited to create and make boats for entry into the Inaugural Regatta held at the nearby Maribyrnong river held at the close of the summer exhibition schedule. The installation and workshops were an exploration of connections between space and place - with links being highlighted between the focus of Burley Griffin's extensive incinerator designs Australia wide, the gallery itself and it's relevant history, the placement of the Council waste transfer station, and the historical importance of the river in Melbourne's Indigenous and Colonial development. Equal to this was the focus on creativity through play and problem solving - a whimsical shelving unit made from recycled cardboard boxes and split-pins setting the tone for boat building outcomes. Participants became the makers, the artists, the exhibitors, the viewers and enjoyed the freedom of expression stimulated by working in the unique space.